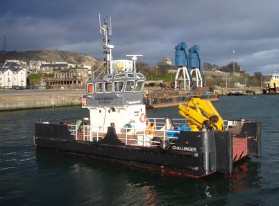 In continuation to previous NTM 27/16 mariners are advised that on the 20th April 2016 CW-4 Barge will arrive at Brodick Ferry Terminal, Isle of Arran to support reconstruction works and will likely remain on site until pier works are completed. 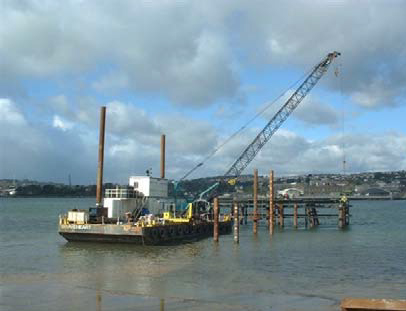 The works supervisor will liaise with Masters of ferries and other vessels using the existing pier facility and the local port manager to ensure there is no disruption to scheduled ferry services and a radio watch on VHF channels 12 and 16 will be maintained. 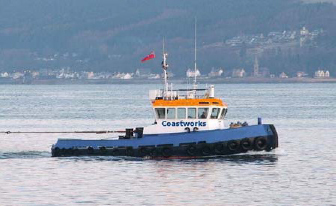 All vessels navigating in the vicinity of Brodick Ferry Terminal are advised to exercise vigilance and pass at minimum safe manoeuvring speed and sufficient distance from the area of works to reduce the risk of damage or injury being caused by the passing vessel’s wash or displacement. Owners and operators of high speed vessels should be particularly vigilant regarding their speed and the wash that can be created. Further details can be obtained by using the contact details below.